Pharmacy technicians have an integral role in a pharmacy’s ability to successfully achieve its mission. They help licensed pharmacists with the dispensing of prescriptions and the distribution of health care products to patients. They collaborate with medical professionals to verify prescriptions and manage the daily operation of the pharmacy. No technical experience is required to fill the role of a pharmacy technician. However, training will prepare students for success on the Pharmacy Technician Certification Exam, which is required by most employers and essential for initial registration in Texas. 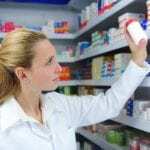 The duties of a pharmacy technician vary depending on the pharmacy setting. Technicians in hospitals and community pharmacies typically serve as the first point of contact for customers. They take requests and pass along those requests that require the professional judgment of the pharmacist. They manage those responsibilities that fall within their scope of practice and professional training. These might include receiving and preparing prescriptions for dispensing, maintain patient profiles, filing insurance forms, reviewing and updating inventory, packaging the labeling medications, compounding non-sterile medications, and preparing unit doses. A pharmacist must check the technician’s work before the medication can be dispensed to the customer. Pharmacy technicians in Texas must register with the Texas State Board of Pharmacy. If you’ve been convicted of a drug-related crime, you may be ineligible for certification and registration. Excel Career Training’s pharmacy technician training program prepares students for entry-level employment in the field of pharmacy. Excel’s fully equipped facility and experienced instructors place the program as one of the best in the Dallas area. The program is ideal for those preparing for initial certification or re-certification. Students will assimilate the required theory through interactive discussions, lectures, and demonstrations in the classroom. Hands-on training in a simulated lab and a pharmacy externship will give students confidence and a competitive advantage in the evolving field of health care. 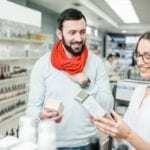 Course topics include but are not limited to pharmacy calculations, pharmacology, medical terminology, drugs and their effects, generic and brand name drugs, pharmacy operation, packaging and labeling medications, receiving and preparing prescriptions for dispensing, inventory control, and billing and insurance. The pharmacy technician review course lasts five weeks. A full course is also available. The duration is 18 weeks. Contact the school for full details on each program. Information sessions are available on Wednesdays, Thursdays, and Fridays by appointment only. Asher College’s Pharmacy Technician program prepares adults for a rewarding career in the field of pharmacy. Dedicated instructors use lectures and hands-on training to produce competent and well-rounded professionals. The school offers a flexible training schedule to accommodate adults in their pursuit of educational goals. Day, evening, and weekend options are available. Through the development of technical skills, graduates are able to work in nursing homes, insurance companies, retail pharmacies, hospitals, mail-order pharmacies, pharmaceutical companies, and wholesalers. Graduates will be able to fill prescriptions under the supervision of a pharmacist, respect patient confidentiality, classify drugs, differentiate between generic and brand name medications, identify over-the-counter medications, and utilize pharmacy software in the operation. Course topics include Microsoft office essentials, career success, pharmacy technology, typing fundamentals, medical terminology, pharmacy practice essentials, pharmacy law and ethics, advanced career development, pharmacy calculations, advanced pharmacy practice, and pharmacology. Two additional courses, job search and career development, will provide students with soft skills to secure employment and pursue a career path of their choosing. Tuition for the program is $17,450 for the undergraduate certificate in pharmacy technician. Books and supplies will cost approximately $200. Brightwood College’s pharmacy technician Diploma program prepares students for employment in just 36 weeks. Students will learn how to transcribe physicians’ orders and hospitals charts, prepare medications for dispensing, select drug products, authorize refills, label containers, input patient data into the pharmacy database, prepare unit dose medications, IV admixtures, and sterile irrigations, and fill out insurance forms. The training will combine classroom lectures with digital instruction, hands-on skills in the lab, and a pharmacy externship. Students will learn how to handle medical emergencies and will receive CPR certification through the American Heart Association. CPR certification is essential to pass the introductory module. During the 36-week program, students will complete 760 contact hours on-ground and digital instruction. Students must complete 55-quarter credits to receive a Pharmacy Technician Diploma. Before graduation, they must also participate in a mandatory 200-hour externship. Tuition for the program is $15,250. Remington College’s pharmacy technician students will complete the requirements for employment as a pharmacy technician in just 49 weeks. The program will include theory and practical instruction in sterile product mixtures, interpreting prescriptions, medical abbreviations, drug forms and routes of administration, the role of the pharmacy technician, legal and ethical principles, and the relationship between and the pharmacist. Graduates will be prepared for entry-level positions in hospitals, retail pharmacies, mail-order pharmacies, assisted living facilities, and nursing homes. Courses include career development fundamentals, social psychology, written communication, speech communication, career development principles, introduction to algebra, health science essentials, pharmacy practice, and dosage calculations. Other topics in the 64-quarter-credit program include therapeutics and pharmacy law, therapeutics and medical safety, sterile products and quality assurance, extemporaneous compounding and inventory management, pharmacy technician externship, and law, ethics, and therapeutic communication. Instruction covers 1,080 contact hours of lecture, lab, and externship instruction. Students must successfully complete the academic courses to be eligible for participation in the 200-hour externship period. Tuition for the program is $20,645. 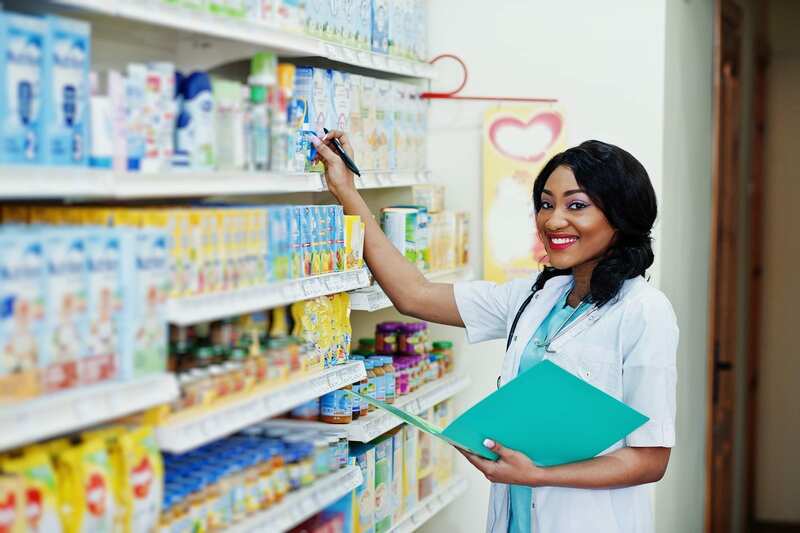 CE Global Health Education Network equips pharmacy technicians students with the skills to perform the duties of a pharmacy technician in a retail, hospital, or home care pharmacy setting. The program covers 96 hours of instruction in medical and pharmacy terminology, pharmacology, pharmacy calculations, drug classification, unit dosage and solution preparation, packaging and labeling medications, drug distribution systems, aseptic compounding and parenteral IV admixtures, and record keeping. At the conclusion of the program, students will be able to perform the duties of a pharmacy technician under the supervision of a registered pharmacist, practice within the legal and ethical parameters of the profession, understand the chemical and physical properties of drugs, conduct the record keeping functions associated with the dispensing of medications to ambulatory and inpatient clients, compound, package, and label prescriptions, and conduct calculations for the determination of dosages and solution preparation. The duration of the program is 12 weeks. Tuition for the program is $999. Books, Qbanks, and flash cards will cost an addition $150. The pharmacy technician program at Richland College consists of classroom, lab, and externship training to help adults develop the skills and competencies to dispense prescriptions under the supervision of a registered pharmacist. The program is designed to be completed in one semester and comprises of 256 hours of lectures and demonstrations and in the classroom and lab and 128 hours of supervised training in a real-world environment. The clinical externship will be conducted in the semester following completion of the theoretical aspects of the training. Course modules include Introduction to Pharmacy, Pharmaceutical Math, Community Pharmacy Practice, Pharmacology for Technicians, Pharmacy Insurance and Customer Service, and Pharmacy Technician Externship. The program is available on a full-time only basis. Tuition costs $2,413. Additional funds must be allocated for textbooks, fingerprinting, scrubs, liability insurance, and registration with the Texas State Board of Pharmacy.